A Dear Little Face at the Window. Copyright, 1893, by Frank Tousey. 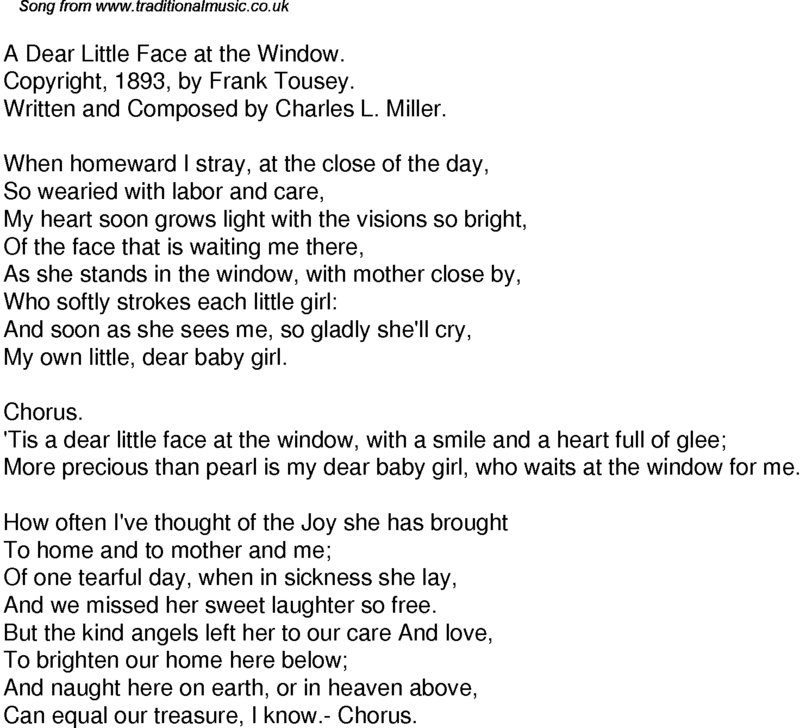 Written and Composed by Charles L. Miller. My own little, dear baby girl. More precious than pearl is my dear baby girl, who waits at the window for me. And we missed her sweet laughter so free. Can equal our treasure, I know.- Chorus.